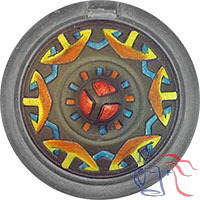 Pottery, etched, 0.4L or 0.3L, inlaid lid. 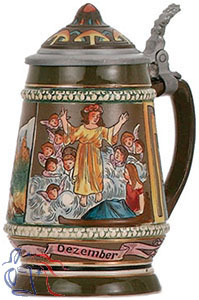 Sixth in a set of six steins, all displaying the model number 1345B and each depicting two months of the year. 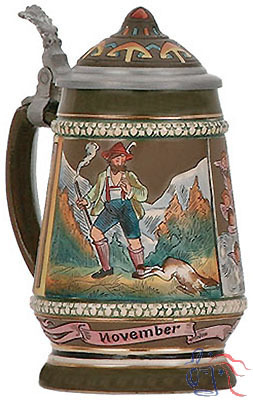 Master stein is No. 1345A. See also Jan./Feb., Mar./Apr., May/June, July/Aug. and Sep./Oct.